Patisserie on Newbury opened October 2013 on Newbury Street being the first neighborhood bakery in the Back Bay! We adore our neighborhood and take pride in offering a wide variety of homemade desserts, lunch and breakfast sandwich's, french classic croissant, coffees and a variety of seasonal cakes, pies and special order products. Come see us and soak in the atmosphere! We now offer on-line ordering for PICK-UP or DELIVERY! The fresh ingredients in our handcrafted sandwiches make us a popular choice for a delicious breakfast or lunch. Baked Daily each morning our fresh assortment of classic croissant and danish are perfect any time of day. Share them with family and friends, or at the office! We make all our Cakes & Pies fresh and in-house! 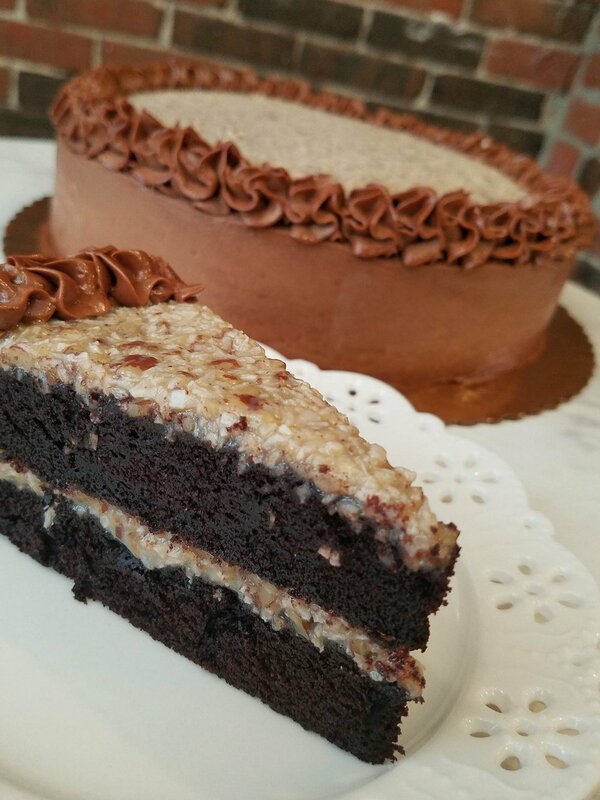 From our delicious German Chocolate Cakes to our Traditional Cheesecake, our in-house bakery delights in offering you the freshness of home. We will be offering some holiday and seasonal pies, cakes and tarts that can be ordered ahead of time. The team at Patisserie On Newbury thrives at making our customers feel welcome and well taken care of. We take pride in offering delicious thoughtfully sourced pastries, french macaron, artisan cheeses, charcuterie, breads and specialty foods. We offer many European products, but support local farms and producers as well. Our hand crafted sandwiches are made to order with exceptional ingredients and care. As we love having seasonally inspired items available, our selection of products made in-house varies daily. We also welcome custom orders; contact us to inquire! Custom platters of sandwiches, cheeses, croissants & danish, or pastries are available for small or large gatherings.